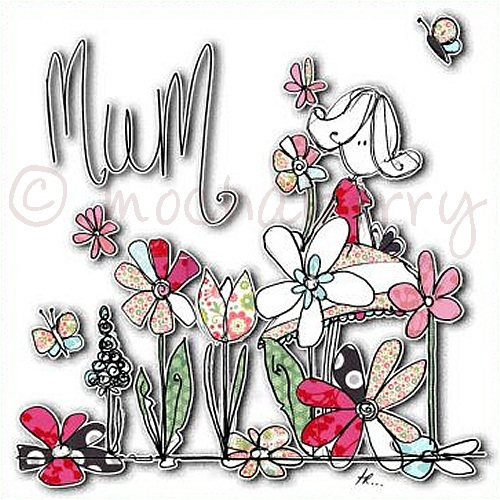 This card has the word 'Mum' on the front and is decorated with a gorgeous drawing of a mum in a garden of flowers and butterflies. Hand finished with silver glitter and printed on lovely white lustre card. Each card comes with a pretty patterned envelope that compliments the design and is sealed in a clear cellophane bag. The inside of the card has been left blank for your own message.